Canterbury Golf Club has long been regarded as among the best designed inland courses in Kent. 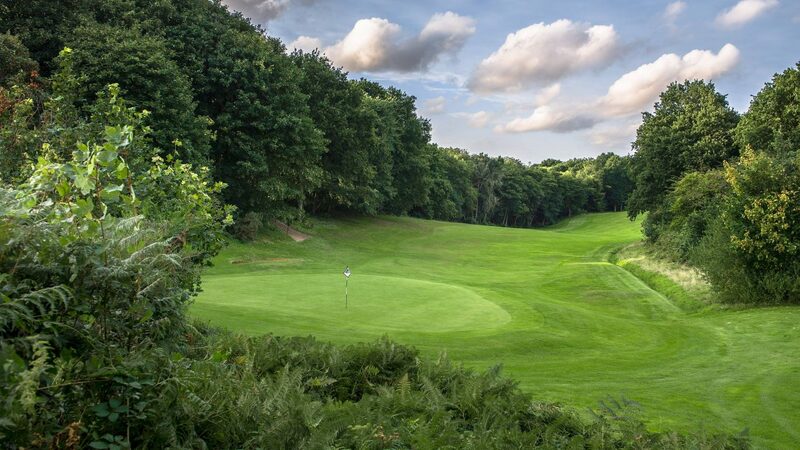 Created by the legendary Harry Colt in 1927 – a year after he completed construction of the West Course at Wentworth – the 6,272-yard layout takes golfers on an enchanting journey through mature woodland, following the natural contours of the land as it descends and rises, crosses and often re-crosses a number of brooks and dykes that help to ensure that conditions will invariably be at their best. Variety is a key feature as no two holes are even faintly alike. From a number of elevated tees, the course provides excellent views across the surrounding countryside while an abundance of birdlife and wild flora simply adds to the beauty of the experience. Acclaimed as a warm and welcoming club, Canterbury’s reputation is further enhanced by the hospitality that visitors receive from our friendly and helpful clubhouse staff. We boast a range of quality local beers, a barista for coffee connoisseurs and a comprehensive menu for bar snacks or for more substantial meals. And a well-stocked professional shop can supply everything a player may need, including buggy or trolley hire, on his or her way to the first tee. and about 500 metres past this, the Club is located on the left. 23 bay floodlit driving range, teaching academy, short game area, fully stocked professionals shop, buggies and electric trollies available for hire.